This pretty picture of author Jill Stark hides a dark truth that many Australians struggle with. IT LOOKS like your standard Instagram shot of a pretty, young woman enjoying a sunny day at the beach. 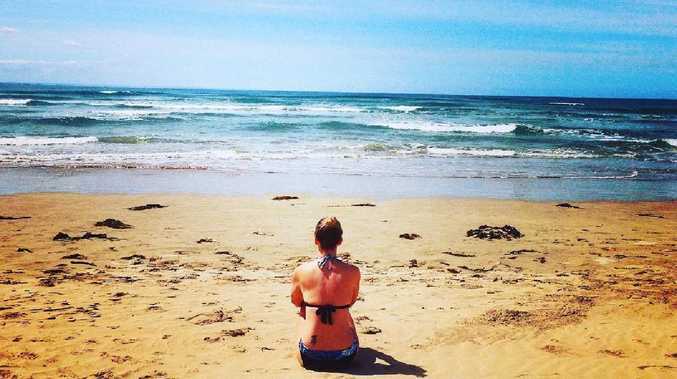 But when journalist and author Jill Stark shared this picturesque seaside snap of herself in 2014, it was masking a dark and dangerous lie that many of us hide. "This carefully stage managed shot was an attempt to paint a tranquil picture of a woman in control and flawlessly coping with life's challenges," Ms Stark said. "In reality, I was falling apart. I'd had quite a serious breakdown. I was a mess." The acclaimed author of the new book Happy Never Afterwas seriously unwell and in a tough place. Unable to work, she had travelled to stay with friends at their house near the beach. Short of that, Ms Stark was totally unsure where to turn for assistance to get on top of her rapidly worsening anxiety and depression. And alarmingly, she's not alone. New research has found a staggering 85 per cent of Australians wouldn't know where to turn if they or a loved one was battling a mental health problem and needed help. The majority of Australians don't know where to go if they or a loved one needs help for a mental illness issue. The study, commissioned by health insurer Bupa, has revealed the community's confusion and lack of awareness about how to access treatment. Ms Stark eventually went to her GP, who issued a stock-standard mental health plan that provided 10 sessions with a psychologist, subsidised by Medicare. But when she had used up those handful of appointments, the extent of care the government funds came to a premature end. "It's as though you can catch depression or anxiety like a cold, take some pills, see someone a few times and get rid of it," Ms Stark said. "That's not the reality for most people. Trouble can be ongoing, things can go up and down." Like many people, she found herself on the other side of the Medicare system wondering what to do next. While she managed to get the help she needed to feel well, many do not. The Bupa research found 55 per cent of Aussies don't understand the mental healthcare system and struggle to navigate it, to the extent they can't look after themselves. That's despite two-in-three people having experienced a mental health condition or knowing someone who has. The study also found that two-thirds of people don't know what services are available to them and the majority view the mental health system as limited. 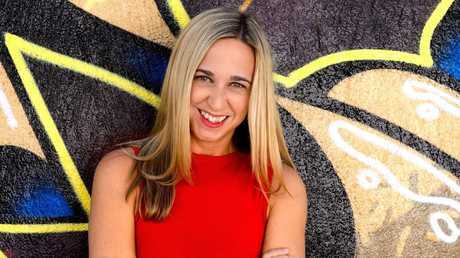 Despite enormous efforts to raise awareness of conditions and reduce the stigma associated with them, Bupa's head of public health Dr Zoe Wainer said obstacles remain. The study found 72 per cent of people cite "shame and embarrassment" as the most significant barrier to seeking help. "This research highlights the need to help Australians gain a better understanding of the mental healthcare system," Dr Wainer said. "This has a real impact on people's ability to seek help and receive the appropriate treatment for mental health conditions." 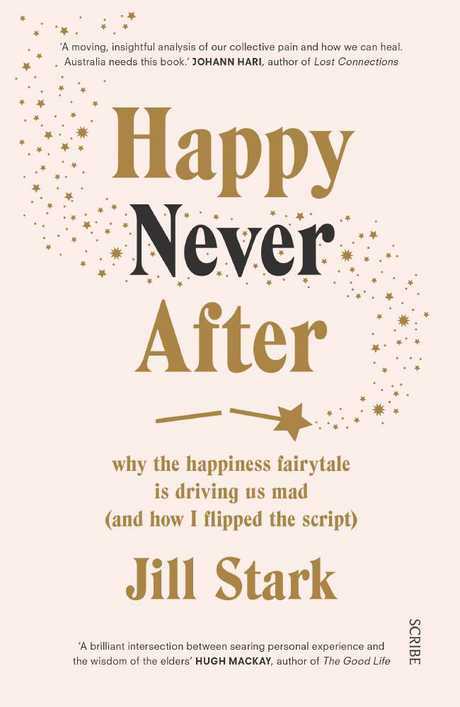 Jill Stark's latest book Happy Never After. Insurers are increasingly exploring ways to expand mental healthcare, which can have a significant impact on long-term wellbeing. Several reports released over 2018 have highlighted the extent to which hospital emergency departments have been clogged with mental health patients. Analysis by KPMG warned that government money wasn't being spent in the right areas and urged more investment in community-based initiatives. Bupa has been trialling outpatient services in Victoria as an alternative to inpatient care - a program it will roll out in New South Wales, Queensland and the ACT. It will also launch a pilot program next year, providing home-based acute care that negates the need for hospitalisation. "We know that taking the first step towards managing mental health conditions can be extremely difficult and that's why we're really proud of our work in the mental health space, especially supporting our members to access the mental health care they need in a community setting, outside a hospital," Dr Wainer said. - If you or someone you know needs help, contact Lifeline on 13 11 14 or visit lifeline.org.au. For help with depression and anxiety, contact Beyond Blue for a list of support services.